Do I Still Dress Too Young? Well, thank you for stopping by my blog again and if this is your first visit please feel free to check over some of my older posts. I know I haven't been the most consistent male blogger around lately but this is a little promise from me to you that I am back at it now and hopefully will be posting weekly - and if that goes well then maybe twice a week. So, what's been going on - well I've just turned 35... OMG...yes, in 5 years I will be 40. Will I have a midlife crisis soon? Will I have to start wearing a flat cap? Will I have to soon hand over my snapback collection to my son? And does my age mean that now my rugby career is over? Well, I say "career", what I actually mean is "the odd game that I participate in as a hobby every now and again". To be honest, the answer to all of the above is that I ain't going to be doing any of them. I'm not depressed in the slightest about getting older, I mean my life is amazing at the moment and that is down to three special people, so there'sno chance of a "midlife crisis happening". A flat cap? Well, I wouldn't be seen dead in one so that kind of answers that one and then as for my snap backs, my collection is getting bigger and bigger by the day and I'll probably be wearing them in my 80's. I've never been the best rugby player anyway but what I lack in skill and talent I try to make up for in heart and passion. I actually stopped playing rugby league last summer and I have missed it if I'm honest but I know my body just isn't up to the speed of the game anymore so I decided to give it a miss this year. This resulted in a bit of a downfall with my weight because as I had nothing to train for I lost the little bit of fitness I had, but I've now decided to join the open age side of the Rugby Union club my son plays for. She knows injury tally is quite high at the moment. Now that I'm getting on a bit, one of the things I am a bit worried about is my fashion sense, especially on the rare occasion I do manage to take my son to school and spot not many parents dressed like me at all - I'm definitely one of the odd ones out dressed in my Snoop Dog top, my jean shorts and a backwards cap. And this got me thinking, is there an age for what people should wear? It's something that has played on my mind quite a lot actually, even without me knowing - one of my first ever blog posts was titled Do I Dress Too Young? But I love how I dress, it's me! I feel confident and always feel comfy which is a real key factor in every outfit I put on - there's no worst feeling than the anxiety caused when I feel restricted in clothes - I always feel so claustrophobic, it's awful. I know we've had a good few hot days recently and I'm hoping for a lot more to come so I can go out and take some more amazing fashion post shots and show you guys the sort of things I love wearing at thirty-five years of age and show you that you can wear what you want no matter what age you are. The outfit is quite basic but that's just how I like it - comfy, casual and unfussy. So, let's start from the bottom up. I think a fresh pair of white kicks should be a staple in everybody's wardrobe, male or female, they basically go with everything, from a sporty, everyday get up, to something a little more smart casual and then to very smart - trainers and suits are a thing you know - however with these being so bright a problem is created - how on earth do you keep the things clean? The only answer for that is, "I don't wear them too often"! I mean come on, Vans, who doesn't love a good pair of Vans right? And here's a nice bit of Vans background information for you - it's something I didn't know and found it quite interesting anyway. The classic Vans Old Skool in white is a staple part of any trendsetter's wardrobe. Before the Old Skool was originally released, Vans founder Paul Van Doren was known as a doodler, and always had a pencil and pad close; he drew up the simple wave-like side stripe and called it the “jazz stripe”. The Vans side stripe originally appeared on the now iconic; Style 36 aka Old Skool in 1977, which just so happened to be Vans very first leather skate shoe. Jakes Shoes - the amazing people who sent these kick my way - are actually an independently run family business who offer a wide choice of shoes, slightly different to those on offer from the high st. I mean you name it, they have it - men's, ladies, kids and even a huge selection of different accessories. If you're ever looking for something a little different, a little quirky then I would definitely suggest checking them out, you never know, you may find the shoe you have always been looking for...and at a good price too. 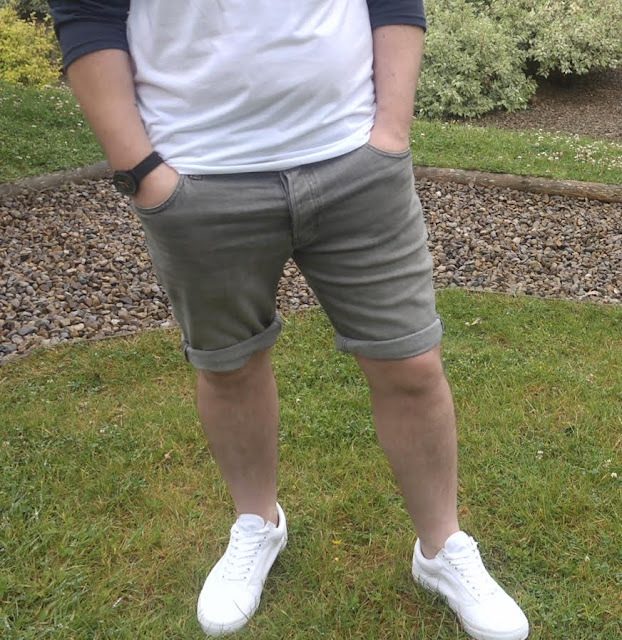 Back to the outfit - the shorts I wore are recycled from an older post I worked on last year for Father's Day and they are from Next. 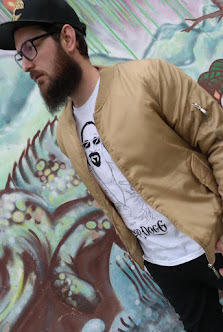 If you've read my blog for a while now then you will know that I'm a massive fan of independent clothing retailers and I love featuring them on my blog. 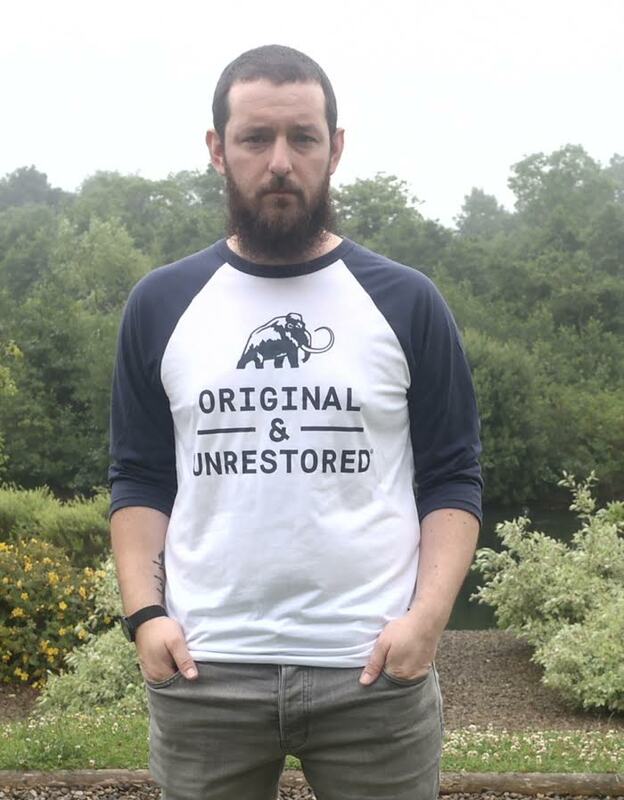 "Original & Unrestored are the t-shirt people and wear their lives on their sleeves". Nothing wrong with a good flat cap, what kind of Yorkshireman are you? !